Victoria Aveyard has read 5 of 10 books. Victoria Aveyard read 19 books of her goal of 10! Victoria Aveyard read 26 books of her goal of 20! 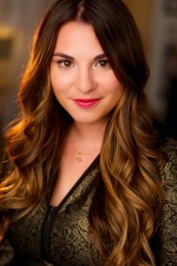 To ask Victoria Aveyard questions, please sign up. Hey Victoria, it's not really a question but I've been thinking so much about the silvers and their silver-blood periods. ? Victoria Aveyard Don't worry about it. is there an official release date for the next book yet? Victoria Aveyard February 9th, 2016! What author would you like to read in April? We are narrowing it down from the top 5 on the previous poll to the number 1 on this poll.